The group at work, Pollyphonics Residential 2015. Pollyphonics Choir documentary created by Rebecca Fitzgibbon from Polly Christie on Vimeo. 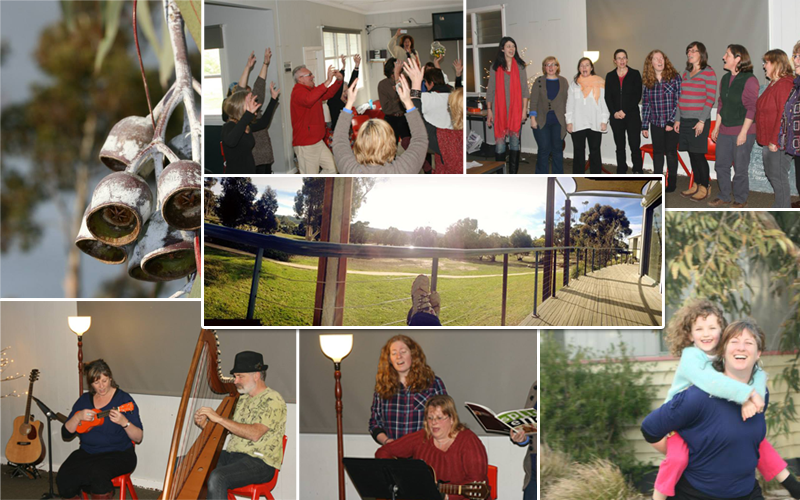 Conducted by Polly Christie, the Pollyphonics have been creating vibrant, soulful choral performances in the Macedon Ranges for the last six years. In 2014, John Payne joined the choir as resident accompanist – "we are so grateful to have such a beautiful musician accompany our singing" says Polly. 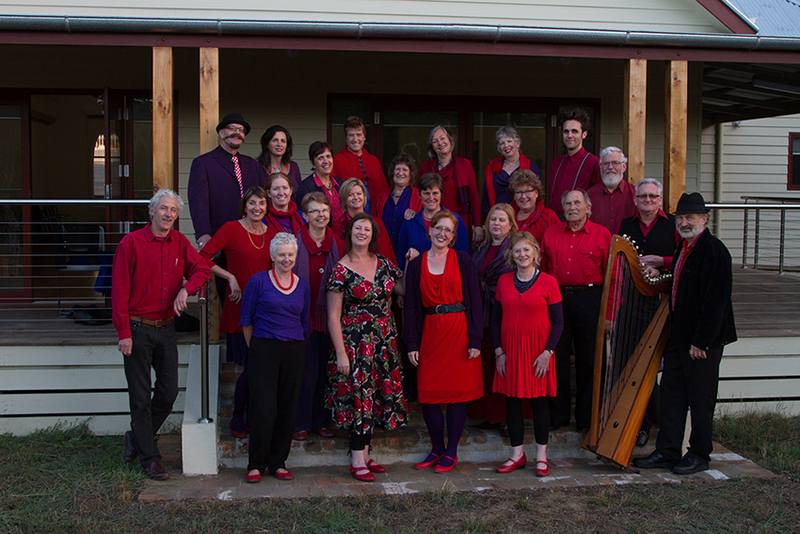 Based in Woodend, the choir is mixed voice and sing a blend of global folk, gospel spirituals, jazz and contemporary songs, some arranged and composed by Polly and choir members. The choir is accompanied by the wonderful pianist, arranger and composer, John Payne. From intimate acappela singing to full voice with piano accompaniment, the choir journeys the globe with sounds, rhythms, stories and delicious harmonies. 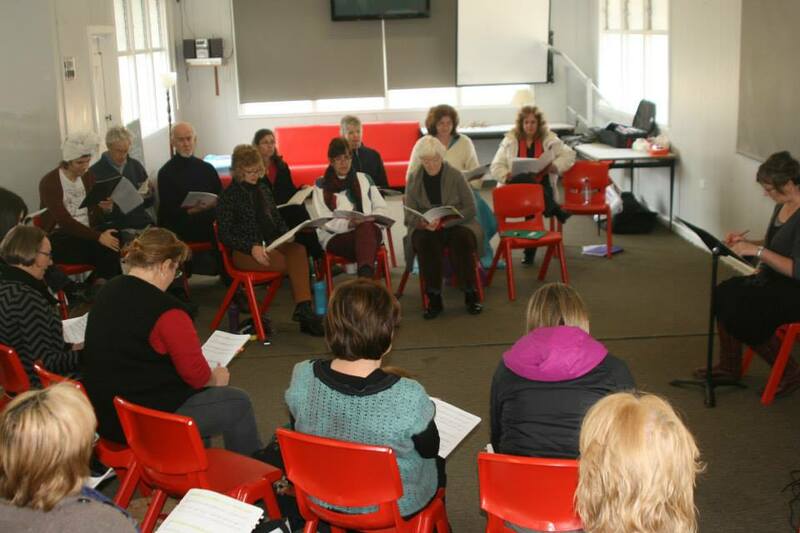 The Pollyphonics Choir rehearse on Thursday evenings during school terms in Woodend. The Pollyphonics Choir recently released their debut CD – available here.